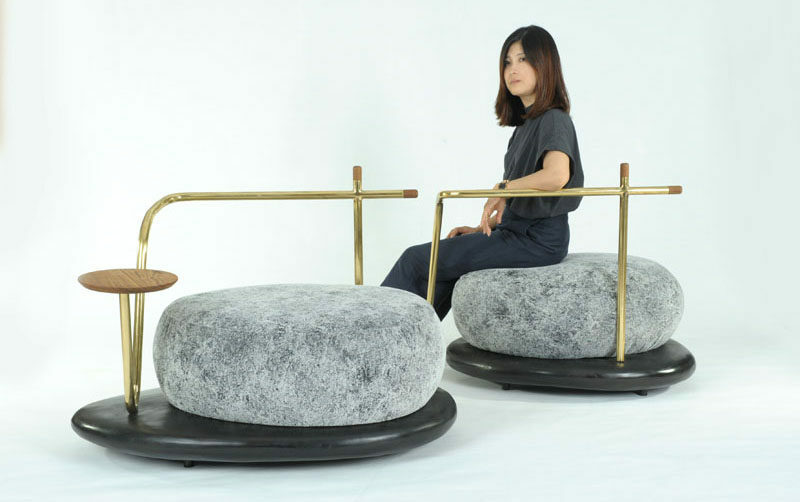 Designer Apiwat Chitapanya has created the Zen Stone Collection, that includes a sofa set, a side table, and a screen. 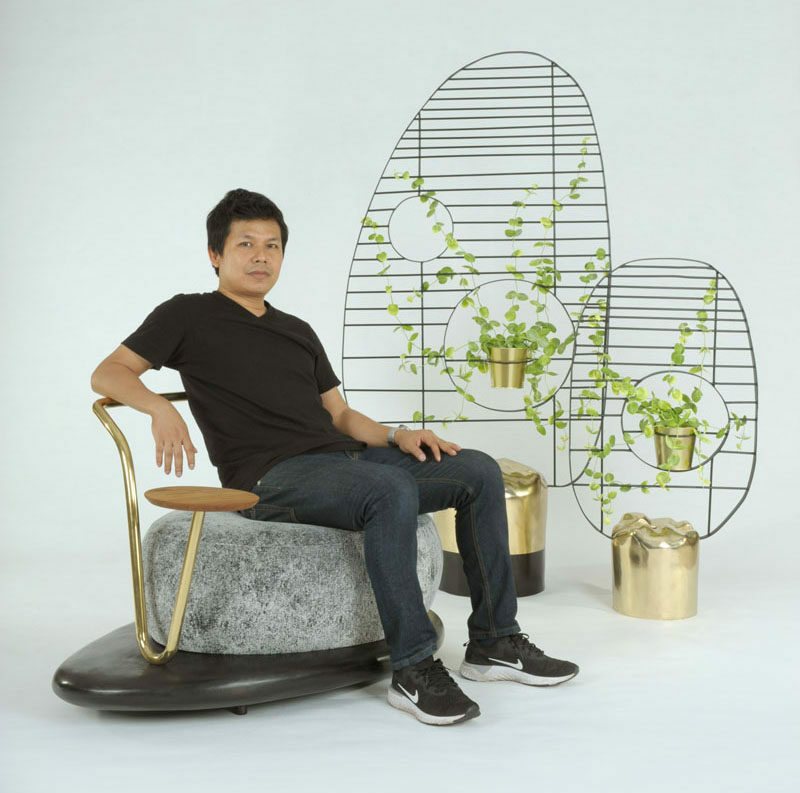 The collection was designed for Thai furniture brand Masaya, and was inspired by stones in a Zen garden, where the stones are considered to be the soul of the garden. 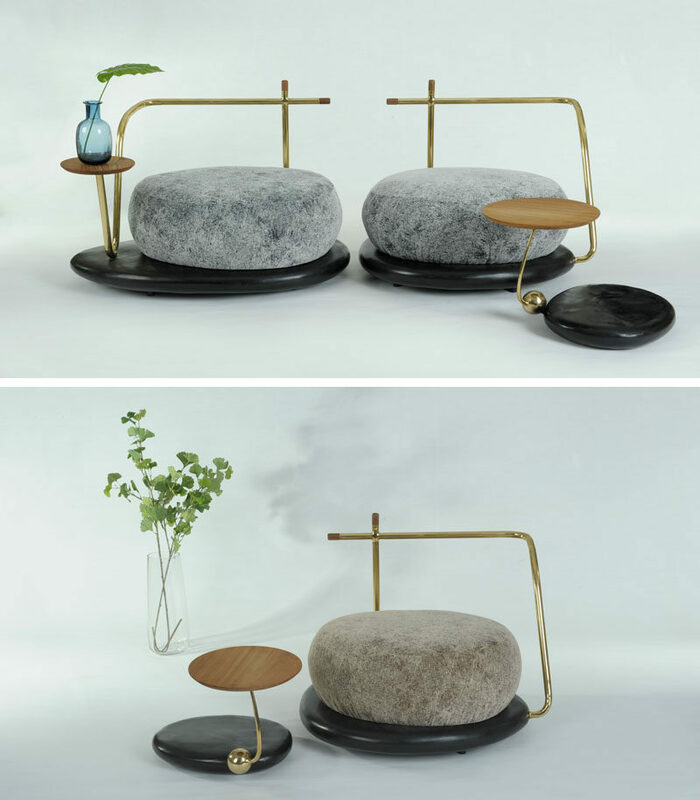 The chairs have round grey cushions, which represent the horizontal and flat shape of the stones, that sit on a curved dark base, while minimalist brass elements become the backrests. 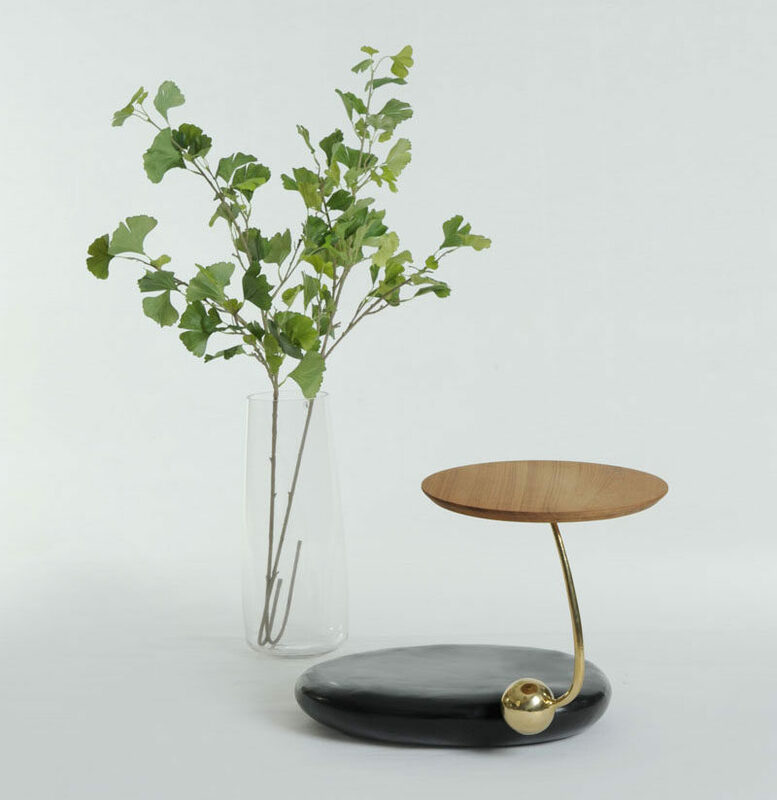 A small side table has been designed to have a complimentary design with the same base as the chairs, and a round wood table top that sits on a brass stand.